The Royston Roasting Co. is located in Royston, oddly enough, just a few kilometres south of Courtenay on the old island highway. The company's primary focus is providing fair trade, organic beans to fund raising groups across Canada and private labelling to others. More recently the owners have developed their own branding and a coffee shop too. The operation began simply enough as a coffee supplier to the Comox Farmers Market over ten years ago. Today the owners, Dyan and Gary Spink, operate the roasting company and its coffee shop in downtown Royston, though you might miss the "downtown" altogether if you're barrelling down the highway as most people seem to do. Slow down. Enjoy the drive. Stop for coffee. There is an outside patio at the coffee shop though within the chairs are much, more comfortable. The coffee is good; the espresso smoky, strong and slightly smug, which might reflect the barista more than the actual roast. I would prefer more crema, but all things considered, this is a reasonable doppio by West Coast standards. The coffee shop, which also serves breakfast and lunch items, is a funky kind of place. The barista could well serve your espresso then strum a ukulele and break out into song, as she did on our recent visit. It's all quite wonderful and it's a place Sherry and Jeem have been coming to for several years and a great place to stop for a strong coffee before going off towards Cumberland (home of the best pizza on Vancouver Island: Riders Pizza) or further north on Vancouver Island. And yes, don't let go of your children around here. Garry Oaks Winery is located on a 4 hectare terraced vineyard overlooking the Burgoyne Valley on Salt Spring Island. It began in 1999 when Marcel Mercier and Elaine Kozak purchased a 100 year old farm and began converting it from sheep to wine. The winery gets its name from a stand of rare Garry Oaks on the property. I don't know where the Garry Oaks are, nor would I know them to see them. My dilemma, shared by countless others I'm sure, might be a potential marketing opportunity for the winery. It's all rather unpretentious, which is a good thing. The wine tasting room is simple yet stylish and the tastings are always good natured. The wines are interesting. Prism, a blend of Gewurztraminer and Chardonnay, is acceptable, though a wee bit on the sweet side. A red, the Zweigelt, an Austrian varietal not often seen in North America, is okay too, probably best decanted once or twice.The Pinot Gris is highly acceptable, rich, clean and fruity without overpowering. It is easily our favourite from this winery. When on Salt Spring we always seem to stop at Garry Oaks Winery, sample and buy. There are sheep in the field next door, which attract attention from tourists, and on this occasion from Jeem, thinking only of a nice rack of lamb to go with the Zweiglet. It is a bit off the beaten track. In fact, if you don't know about this patisserie on Salt Spring Island you probably won't stumble upon it, unless you happen to be visiting the popular pub Moby's on the Upper Ganges Road and even then you might miss it. Among the assortment of boats and repair shops, sits a little piece of fine French pastry making. Rendezvous Patissierie is small and unpretentious. Arriving in Canada from France in 2004, Brigitte and Bruno Gonzalez settled on Salt Spring. French pastries followed fairly quickly and Brigitte began selling her pastries at Salt Spring's popular Market on Saturdays and Tuesdays. The shop opened sometime thereafter. It is not necessarily a place to sit and enjoy a coffee and pastry, though some do; the coffee is limited to a thermos carafe of drip coffee. The pastries are fabulous and include tarts, meringues, canneles and some savouries too. The croissants are rich in butter and melt in your mouth as they should. They might well be the best croissants I've ever tasted. It's worth it to buy an assortment of pastries and take them back to the "resort" to eat by the lake. With a good book and a nice bottle of French wine, wouldn't you agree? Mistaken Identity Vineyards is the third winery to take root on Salt Spring Island. Nearest to the town of Ganges, it's more or less across the road from one of our favourite sources of provisions on the island; The Country Grocer (local produce, local owners, you know the drill). In the past I have not much liked the wines from this winery, but having tried, and enjoyed their Pinot Gris at the Seaside Restaurant, we went for a tasting during the last week of August. Melanie was our charming host for an assortment of pours, and Summerdale (the dog) was never far away. This is a simple and unpretentious kind of place, with a deck and yard to picnic and sip your wine, while looking at the vineyard. It is surely a more interesting place than Salt Spring Vineyards, which seems to be an afterthought in wine making at best and a ten percent plaything at worst. The winemaker at Mistaken Identity is Jesse Cooper, recently from the brilliant Black Hills Estate Winery in the Okanagan, and from time well spent at a winery in France of all places. It might be a bit early to say for sure, but the wines of Mistaken Identity are beginning to take on a rather noticeable identity, at least by my standards. The Pinot Gris is luscious and fruity with a crisp, citrus flavour, and it is clearly my favourite. The reds show signs of potential merit. Mistaken Identity, and Jesse Cooper, are worth a look. Something good is happening here and I hope it continues. If you are interested, as I would be if I had the money, it appears Mistaken Identity Vineyards is for sale. Not sure why it's for sale, but the asking price is only $2,100,000. It seems a bargain given the price of things on Salt Spring Island. Does that price include Summerdale I wonder? More importantly, does it include Jesse and Melanie? Next to the Vesuvius Ferry Terminal on Salt Spring Island is a seafood and burger joint called Seaside Restaurant. It started in the 1940s as a marine service kind of place and evolved over time, and several owners, into a cafe featuring local seafood and fantastic sunsets. Halibut and cod are on the menu along with Salt Spring Island mussels and Fanny Bay oysters. When fresh, the halibut can be truly outstanding, succulent and rich with every bite. There are other menu items too, but when the fish is fresh nothing else makes much sense. Service is always friendly and efficient and the restaurant can be especially busy on nice summer evenings. The deck offers a southwest view of Samson Narrows, the comings and goings of the ferry and the sometimes snow covered peaks around Duncan on Vancouver Island. When the weather is nice, the sunsets are incredible. Come for the fish, stay for the sunset. It was the last week of August. Why not go to St Mary Lake? To our retreat in Cabin No. 7 at Lakeside Gardens? So we did. Sort of a last minute thing. Because the resort was full (little wonder being the last week before Labour Day and the summer weather remaining fantastic), we started out in No. 12. The cabin actually seemed bigger than No. 7, and the bed, if we can call it a bed, felt almost more comfortable. Obviously there was nothing wrong with No. 12, though it wasn't No. 7; indeed, it was nice to have a new perspective. The light on the lake still danced at sunset and the geese still used the diving float as their own personal sunning deck. Everything was the same, yet everything was different too. It's amazing what a difference ten metres can make, or a number on a cabin perhaps. After two nights we were able to move into No. 7. Harmony was restored to the universe once again. People return again and again to Lakeside Gardens. Children of original visitors are now returning with their children and the amazing discovery of almost camping continues for yet another generation. The days slow down here, and nights are filled with stars never seen in a city. People fish and paddle and swim. Or contemplate. There is something magicall about this place. For me that moment of discovery was five years ago and the first morning after arriving late the night before, in the dark, to look out at the lake from the small window at the head of the bed as the sun came up. Then to walk in the early morning quiet before anyone else was awake, and long before the smell of frying bacon filled the air. In the end it doesn't matter much the number on the cabin. There is a gentleness here, a peace that comforts, awakens and refreshes. We should all be so lucky to find that peace, and to be able to return again and again. It's Labour Day. A day to celebrate workers and recognise the contributions made to our society by the labour movement. Things like the minimum wage, limits to child labour, weekends, the right to organise, workplace safety and health care. In fact, recognising the need to assist people in our communities, and in the absence of good government, the first United Way in Canada was started by unionists. All of us in Canada, regardless of class or employment status, have been well served by a strong labour movement. Unfortunately, the BCTF rejected our offer to reopen schools while the two sides enter mediation to reach an agreement. Instead the BCTF is sticking to its strike and demanding twice as much money as everyone else in the public service has received. Her tweets are misleading because it was never the teachers' decision to enter mediation. The Education Minister Peter Fassbender, another low wattage bulb if ever there was one, said the decision was left to the mediator Vince Ready and the talks were entirely exploratory. Ready was to determine if the two sides were close enough to proceed with mediation, and they weren't. The teachers did not reject anything. In fact the head of the union is still asking to meet with the Premier in an effort to bridge discussion. Teachers are not asking for twice as much money as everyone else and the Premier knows that too. Minister Fassbender wants the BCTF to set aside its grievances about class size and composition, which is largely what the dispute is all about in the first place. 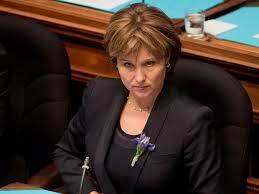 Christy Clark needs to turn down the emotional rhetoric and offer real leadership instead of ice bucket celebrity. Political points gained at the expense of teachers and children won't work. Class size and composition do belong in a collective agreement. The Premier needs to restore the funding she illegally cut twelve years ago. That legal fact was determined by the Supreme Court of Canada, though apparently it means nothing to her government. 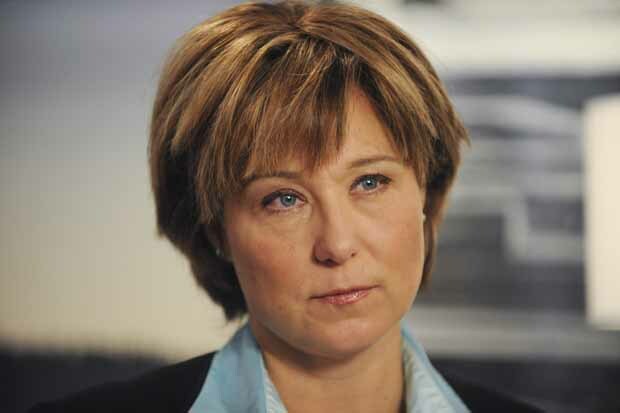 It's Labour Day in BC. We should celebrate the strides we have made as a society and be wary of the people who want to dismantle public institutions in the name of a market economy. We need to raise our children to be active, thinking citizens, and not just members of a consumer society, whatever the hell that is. Public education is important in creating a just society for all of us and not just the ten percent. We need to be very wary indeed.